We recommend waiting until the seminar has been confirmed as running before making your travel arrangements. Registrants will receive a seminar confirmation email once the seminar has reached sufficient enrollment, no less than 14 days prior to the seminar start date. Seminars that do not reach minimum enrollment will not be confirmed, and therefore, may be cancelled by the University approximately two weeks prior to the seminar start date. UMass Lowell is located approximately 25 miles northwest of Boston, and is conveniently accessible from two major airports: Logan International Airport in Boston, MA, and Manchester-Boston Regional Airport in Manchester, NH. Attendees flying in for the seminars will need to arrange for daily transportation between their hotel and UMass Lowell's Ball Hall, where the seminars are held. UMass Lowell Inn & Conference Center is located in the heart of scenic downtown Lowell, overlooking the Concord River and the Pawtucket Canal, and just minutes from all major routes. To receive a special rate when making reservations, please request the 2019 UMass Lowell Plastics Seminar rate. Lowell is a city rich in history and culture. America's Industrial Revolution is commemorated at the Lowell National Historical Park, where visitors can tour the canals, a turbine exhibit, textile mills, and "mill girl" boarding houses that tell the story of the transition from farm to factory. Birthplace of Whistler and Kerouac, Lowell is also home to the largest free folk festival in the United States. With sports events, historical parks, museums, and theaters, Lowell has something for everyone. 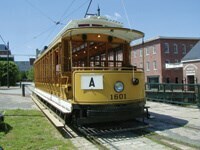 For more information on Lowell and the surrounding areas, visit http://www.merrimackvalley.org. Boston, located about 30 minutes from Lowell by commuter rail or car, is a city brimming with history, arts, museums, and sports. The Freedom Trail highlights 16 historic sites, including Boston Common, Faneuil Hall, Paul Revere House, the U.S.S. Constitution, and the Old North Church — the site of the lantern signal "One if by Land, Two if by Sea" that started the American Revolution. A wide array of entertainment and fine dining await Boston visitors.